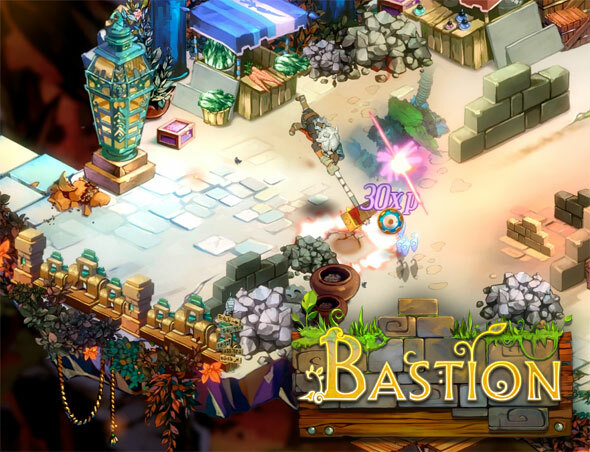 If you don’t want to pay full-price for the Supergiant Games’ RPG Bastion through the Mac App Store, you are in luck – through 6pm Central, May 3, 2012 (Thursday), it’s 60% off at Steam – $5.99! Well worth it for the Mac version of roleplaying game that features hand-painted artwork. Bastion features hand-painted artwork in 1920×1080 (1080p), along with a critically acclaimed music score. One unique feature – cross-platform cloud-based saves, in case you play on both Macs and PCs.